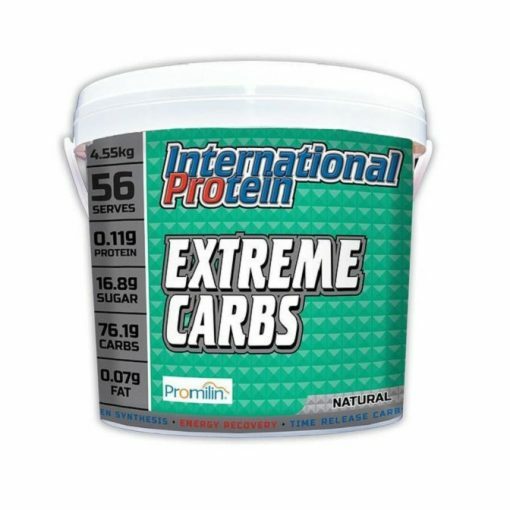 Extreme Carbs is a carbohydrate rich product to assist with building fast muscle mass, increased supply of glycogen to muscles, and decreased effects of catabolism. 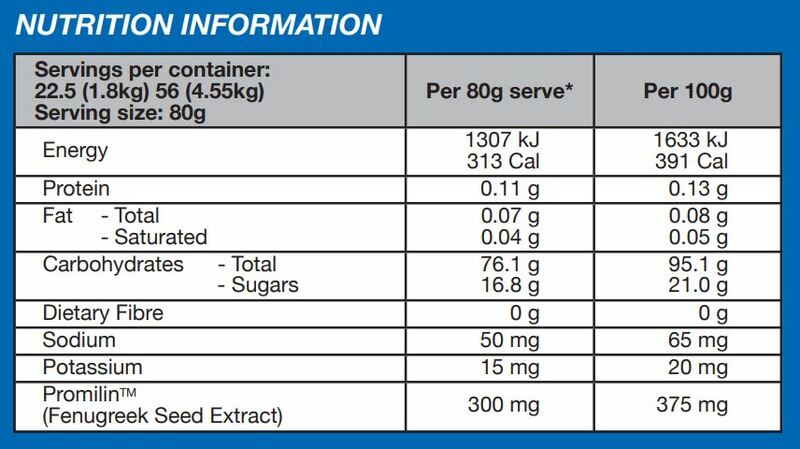 This product contains both fructose and glucose and therefore is able to increase insulin levels to give more endurance while training. 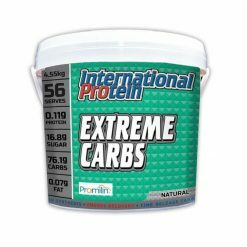 It contains all of high, medium and low GI carbohydrates so that after working out, your body has enough glycogen stored for muscles. In this formula, there is also Promilin which is an ingredient shown to enhance the transportation of glucose to muscles for use as energy, in turn enhancing your muscle growth and recovery. 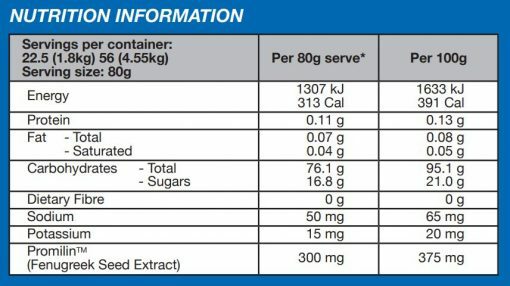 Use 80g with protein and 400ml of water post training.